St Albans Symphony Orchestra (SASO) is preparing to appoint a new principal conductor, following a decision by Bjorn Bantock to step down next month after five years at the helm. 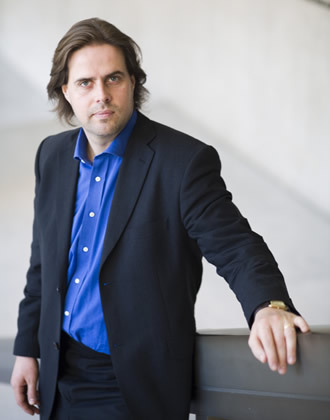 Bjorn, 42, is credited with achieving an all-round improvement in the orchestra’s playing standards, attracting talented new players and drawing audience and critical approval for a series of exciting concerts. However, the price of success has been growing international demand for his services, including professional orchestras and ensembles in Ireland, Denmark, South Korea, South Africa, and the United States. He has also been promoted to housemaster at Bedford School where he has taught as Head of Strings since September 2014. This and a resumption of his own career as a ‘cellist playing chamber music has convinced him that he no longer has enough time to rehearse SASO on a regular basis. Highlights from his five seasons with the orchestra include acclaimed interpretations of Rachmaninov and Beethoven concertos with the St Albans-based pianist Alissa Firsova, Verdi’s Requiem and the Brahms German Requiem and a spectacular New Year concert of music by John Williams and other film composers. But the performances he recalls with greatest pride were L’Ascension, a 20th century masterpiece by Messaien and – most recently – Beethoven’s Choral Symphony in St Albans Abbey in March this year. Bjorn’s last concert with the orchestra, on Saturday June 27th, will consist of music by English composers, including Elgar’s Lark Ascending and Elgar’s Enigma Variations. However, he is scheduled to return as a guest conductor in May next year conducting more Elgar (the Symphony No 2) and as the soloist in Bloch’s Shelomo for ‘cello and orchestra in June 2016. SASO is seeking applications for the vacant post and plans to appoint a new principal conductor in the spring of 2016. Until then will be conducted by specially invited guests.